Oyster shell helps strengthen egg shells by providing calcium when the bird needs it most. Although our Horizon Acres Layer Pellets & Crumbles contain calcium, it is sometimes necessary to feed a little extra. 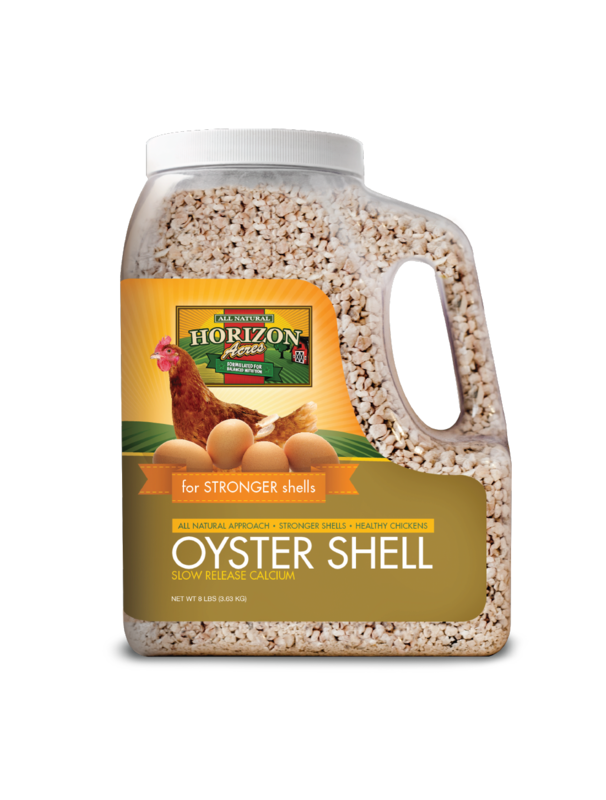 It can be fed periodically as a supplement, free choice, Horizon Acres offers Oyster Shell in a convenient 8lb jug.